MDF is considered a combustible material. Heat clearances must be adhered to. If installing over a fireplace, check your local building codes and the manufacturer's instructions for your specific fireplace insert or stove. Pearl Mantels features fine furniture quality, stunning details and classic designs that will enhance any decor. 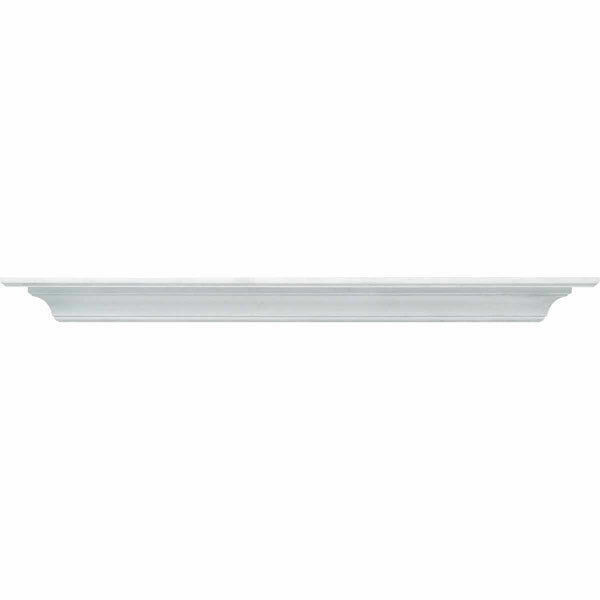 The Crestwood shelf provides effortless beauty to the room. The clean and simple lines will fit into any decor. Black semi-gloss paint. The shelf is created from medium density fiberboard also known as MDF. The ample ten inch shelf depth allows plenty of display room. Use over the hearth, in the bedroom, bathroom, kitchen, den or anywhere you need a little something extra for storage or treasures. Its uses are only limited by your imagination. Mitered hanger boards are included for ease of hanging. Look for the pearl inlay that graces the right hand side of the shelf as proof that you have received an authentic Pearl Mantel. Also available in White.